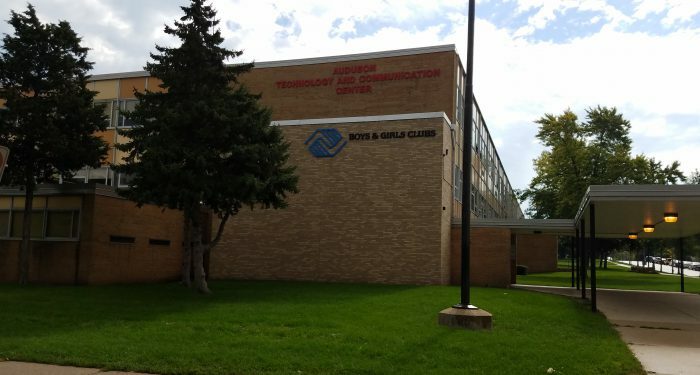 Audubon Technology and Communication Center is a traditional, comprehensive middle school, serving grades 6-8 that is on the cutting edge of technology integration in everyday learning. Our program focus is on college and career preparation. Our Math and English classes are taught using the Springboard curriculum. We also offer the College Board Pre-AP (PAVE) program that offers a rigorous curriculum with a focus on college-preparedness. Audubon Middle School offers The Bilingual Education Program that is designed to ensure that English Language Learners become fluent and literate in English. It also stresses retention and development of a child’s primary language and use of that language as a vehicle for exploring and acquiring a second language. We also have seven special education classrooms. Our Special Education students are provided programs appropriate to meet their academic and physical needs. All families, community members, and are alumni are welcome to join us for our monthly� School Engagement Council.